Kelvingrove Park is 85 acres of parkland located in the West End of Glasgow. It’s both picturesque and very busy. Its central location makes it a popular route for commuters to the city centre and popular with dog walkers, as well as students from the nearby University of Glasgow. Traditional post or standing bins struggle to cope with the volume of rubbish where there are large number of people. Stand-alone semi-underground collection points provide an effective alternative and flexibility around where the systems can be sited make them ideal where there’s limited space or restricted access. Semi underground collection points have their greater portion placed underground, with only the inlets above the surface, so they’re also an ideal anywhere there are lots of people generating waste on the move. They also offer opportunities to segregate recyclable materials at the point at which they’re thrown away and more waste can be stored, and then moved with less frequent use of vehicles. Additional advantages include fewer odours, the confinement of bacteria, increased compaction, improved street, neighbourhood and park aesthetics, limited maintenance requirements and more protection against vandalism. 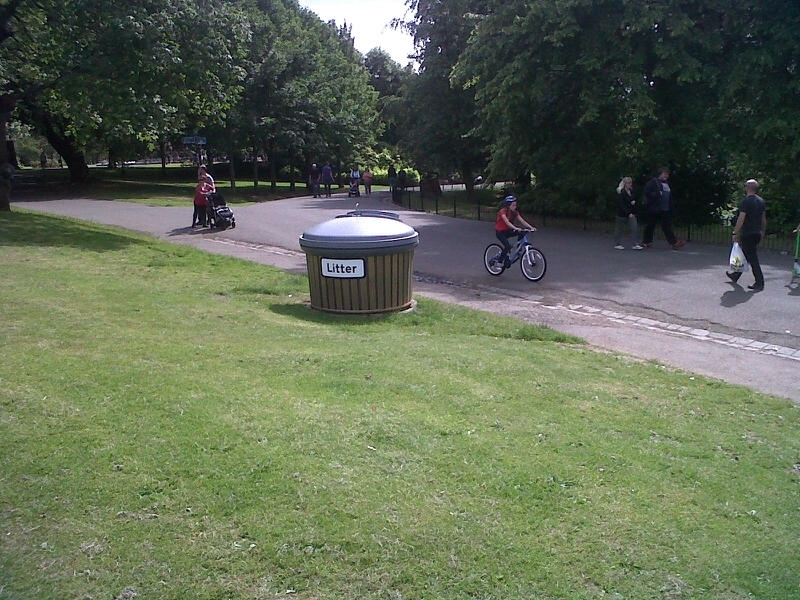 Glasgow City Council has installed two semi-underground waste systems manufactured by ESE, in Kelvingrove Park. They’re sited at a large open sunny slope that attracts a huge amount of users. They’re the first two to be installed in the city’s parks and it was their effectiveness in Edinburgh’s Princes Street Gardens that prompted Gavin Jackson, Assistant Parks Operations Manager (North) to consider underground storage. There are a number of drivers for considering the SUWS: the rise in waste volumes; increased hygienic and amenity demands; overflow of waste; and the environmental impact caused by so many vehicles travelling to and from depots and recycling sites. The ESE SUWS offers a large fill volume, reduces emptying frequency and lowers maintenance costs. The housings can be clad and only one third of the product is visible.